I recently went to a Barnes and Noble, one of the few remaining in my town, and I visited the children’s section. To my astonishment, about 80% of the books were a TV tie-in. The remaining 20% were classics that had been around for decades and there was very little new, original works, except for one by Claire Keane. In 2014, I interviewed Claire Keane, who is part of an American art legacy that spans three generations. Her grandfather was Bil Keane, the Family Circus cartoonist, and her father is Glen Keane, a prominent Disney Renaissance animator. In her own right, Claire possesses an art talent that strides away from her forbearers and takes a sudden spin into her own unique style and creativity (although you can see Disney and Family Circus influences in her work). For several years, Claire worked as a visual development artist at the Walt Disney Animation Studios. She worked side by side with her father on Tangled, based off the Rapunzel fairy tale. One of Rapunzel’s hobbies while being stuck in the tower is painting and Claire lent the character her own works of art to decorate the animated prison. Before she decided to strike out on her own, she also worked on the critical and financial success Frozen during its early inception. Claire’s body of work attracted a publisher’s attention and she signed a deal to write and illustrate children’s books for Dial Books. Children’s literature is the perfect outlet for Claire to use her artistic skills. Her first book is called Once Upon A Cloud and it proves that she not only is a gifted artist, she is also a great storyteller. 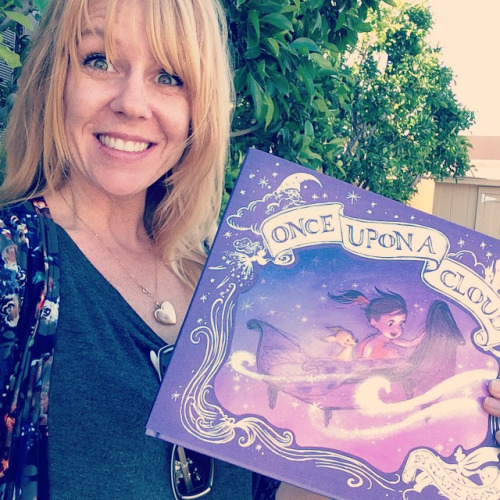 While having a successful career, Claire is also the mother of two young children and from the very beginning she wrote Once Upon A Cloud with them in mind. 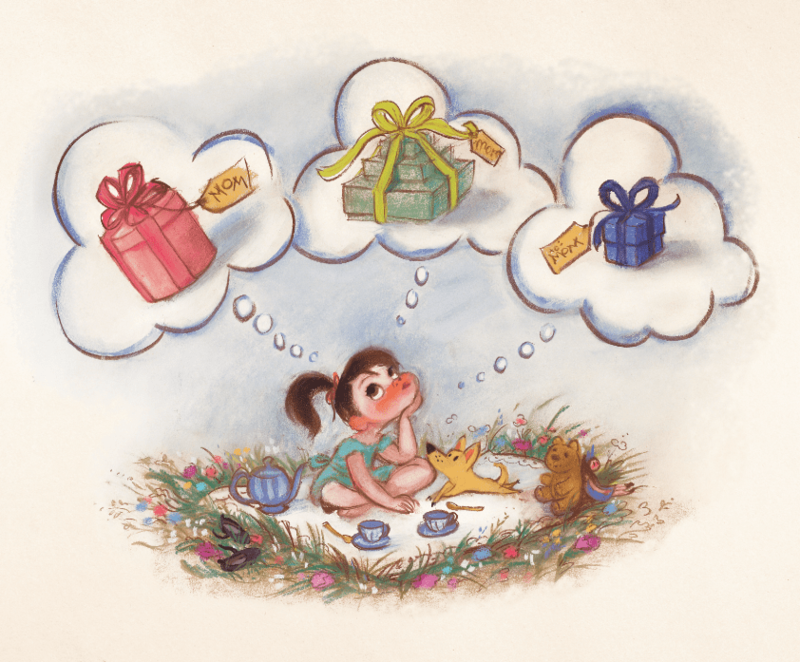 It is about a little girl named Celeste who wants to give her mother a gift, but not just any gift, though. Celeste wants to give the most perfect gift ever! Celeste searches all over to find the perfect gift, journeying straight into the sky and visits many celestial beings, however, none of the items she encounters feel right. When Celeste returns home, she discovers what the perfect gift is and, of course, her mother loves it! To illustrate Once Upon A Cloud, Claire used luscious pastels to fill every page with detailed scenery for Celeste to wander through. Claire relies more on a visual narrative to tell Celeste’s journey and she includes small, sweet details, like a little dog as a travel companion to augment, the story. Her color selection is very calming, which make the book an ideal story to read before bedtime or to express sentimentality if given as a present. 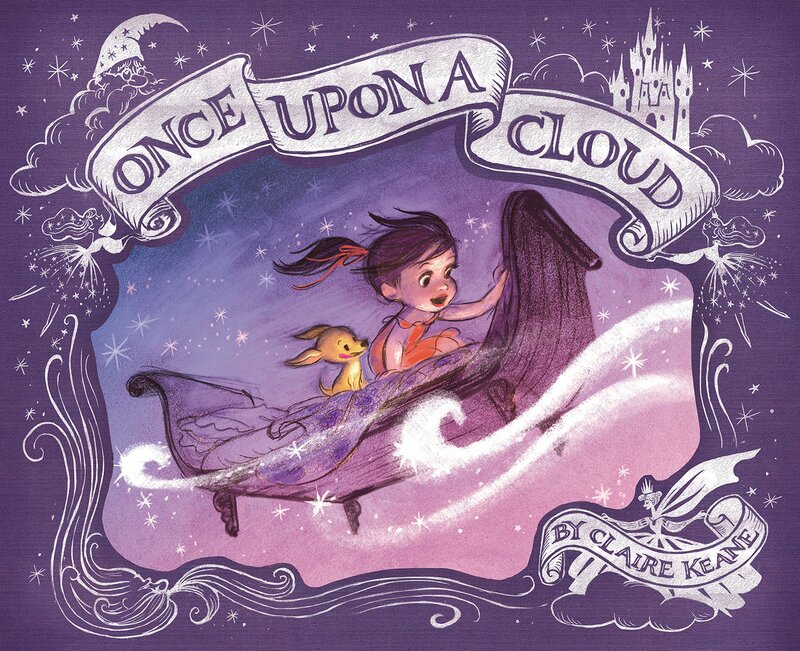 Once Upon A Cloud is sure to gain Claire a sterling reputation in the children’s picture book community and is a charming first venture into the medium.